Free Video Editing Software - M.I.L. Team - 3D+ and more.. This is the first article of our new series, about making awesome video editing tasks in Windows 10 on your own, using only free tools . Here you will find a simple guide on how to edit your own videos or videos you have download in your PC with the use of free software. The whole process is done in your PC, without the need of uploading your private or home videos in an external server for processing. Apart from the privacy, the whole process in done very quickly, as the software we advice is fast, simple and powerful. Video Editing... What is this? As stated in Wikipedia here, Video editing is: "...the manipulation and arrangement of video shots...". To clear up the things, when we talk about video editing, we mean to edit some or all of the individual frames of the video. We are sure, that all of you are quite familiar with photo editing, where you pick a simple photo from your camera and with the use of a software application, you can make some simple -or advanced- edits on it (e.g. crop a portion, rotate by an angle, apply a visual effect etc...) and create a new photo (as a new file). Well, the same thing happens when you edit a video. Keep in mind that a video is just an arrangement of many photos (frames from no on), in a sequence. Frame 1, frame 2, ... etc.. When you see them in a presentation order, one-by-one, then it is a video. In order for a human eye to understand a movement on a video, the frames must be at least 25-30 or more, during in a second. This is what is called as Frame Per Second (FPS) of a video. The more is the FPS, the better is the visual feeling for the viewer. It is obvious, that for every video editing task, a special software is needed. If you search a little on the Web, you will soon find out that there are plenty of video editing software tools and applications. Some of them are specific for a device or an operating system (Windows, Android, iOs, etc...). Some of them are free and some of them are quite expensive. The paid category consists of very specialized tools that are used mainly by professionals. An average user, will find many of them to be quite complicated. One of the most famous is the old Windows Movie Maker app., that was generally used worldwide for years, during the old days of Windows XP and Windows 7. Movie Maker was free and preinstalled in all Windows machines. 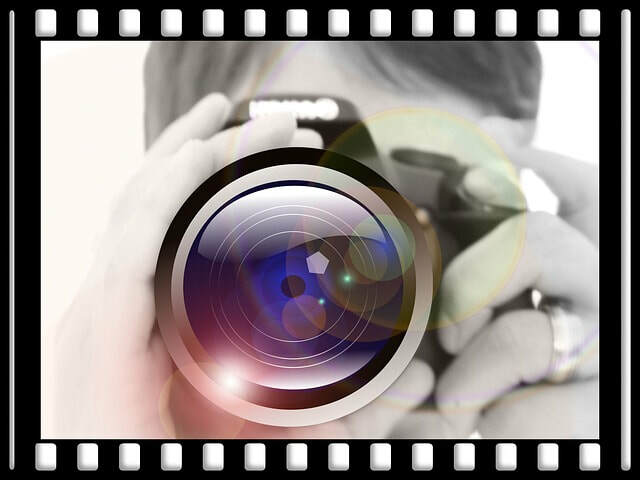 An huge advantage of the Movie Maker was it's very simple to use interface. 10 options for a video, drag and drop videos in a timeline, and click on Save. Your new video is ready ! But, in Windows 10, the Movie Maker app is missing, although you can still download and use on your PC as part of Windows Essentials. Here we will use a special video editing software, inside a wider application, that is powerful and very easy to use. We talk about the "myVideos 3D+" application, created from the Mobility in Life Application TEAM. The creators of the app, focused on making video editing rather simple, using 5 steps, one-by-one. An advantage of the "myVideos 3D+" over Movie Maker or other free video editing apps, is that it can handle and edit ANY video file format. Thus, you will not have to worry if your video you are going to edit is in .webm or .ogg format. 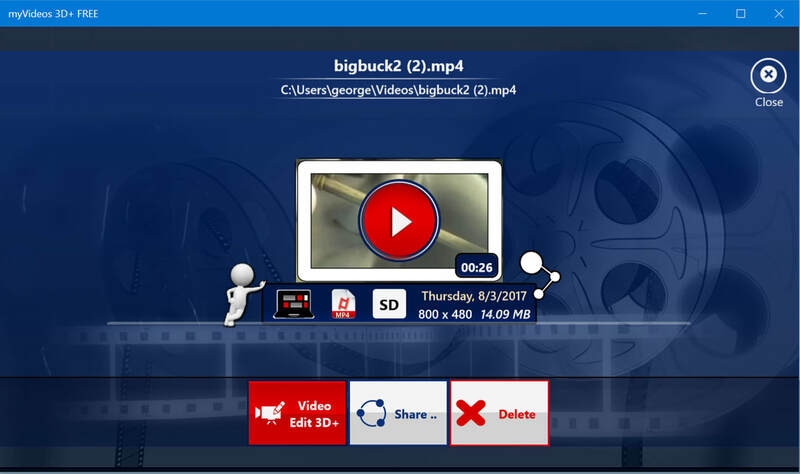 These are examples of video formats that Movie Maker can't edit. With myVideos 3D+ this is not a problem! First of all, you have to install the application to your device, if you haven't done this already. Just tap on the next link to download the official latest FREE version from the Windows Store. 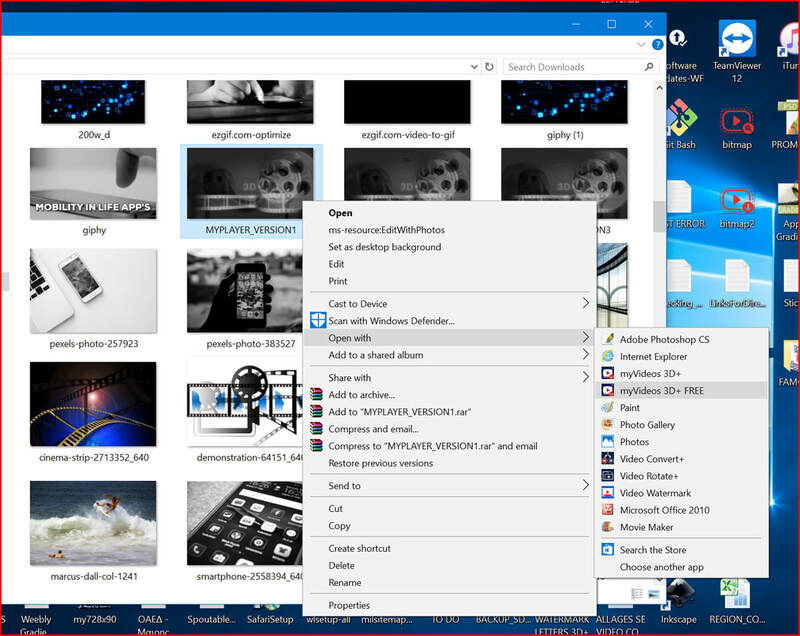 After the installation, you can simply open the app and select a video to edit, or, inside the Windows folder, right-click the video you want to edit and select the option: "Open With..". Find the "myVideos 3D+" app on the list and click on it. 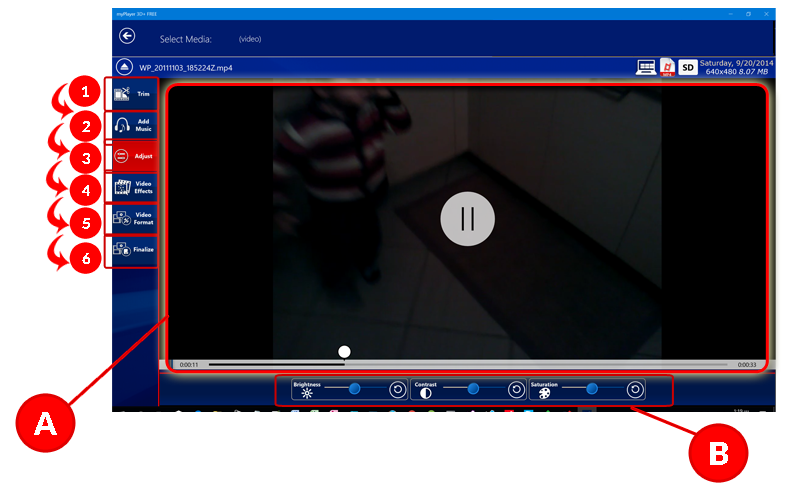 Now, a new form with all the avaliable options for video editing with real-time preview is shown. Just follow the steps and a edited new video will be created. PS: The initial video will remain intact. Screenshot from a video editing operation. Follow the Steps from 1 to 6 as presented in the previous image. Step 2: Add a music audio into the background of the new video (the original audio is not deleted). Step 3: Adjust the brightness, the saturation or the contrast of the original video. Use the sliders provided at [B]. Preview the final video on the [A] section of the screen. Step 4: Add a video effect to the new video if you want. 14 unique effects are availiable. Step 5: Select the video format of the new video. Be careful when selecting the Video Resolution. Don't use extremely high resolutions. It will produce large video files! Step 6. The final step. Tap on "Create" button and the app. will create the new video!! If you don't want to change something, move to the next step.